Doctor Strange is now in theaters, and if early reviews are any indication, Marvel has again struck gold. 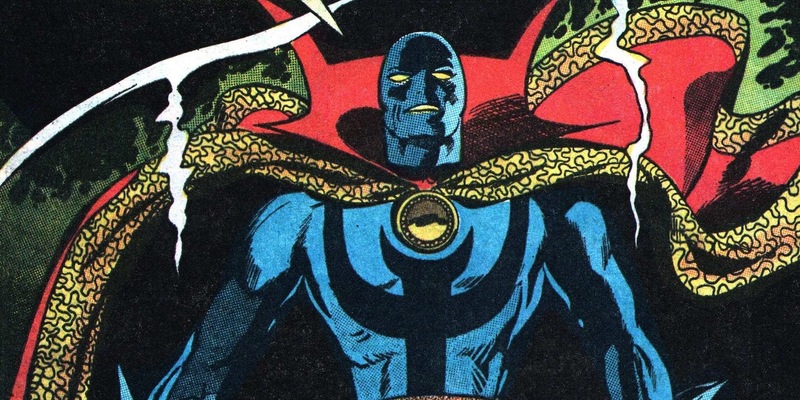 With Benedict Cumberbatch’s mystic performance and the chops of director Scott Derrickson, the film is said to expand the Marvel Cinematic Universe the same way Strange comics did in the 1960s -- psychedelics and sorcery. The former surgeon has led some of the genre’s most bizarre arcs over the years, from satanic cults and vampires to Gods and Satan himself. He will undoubtedly bring a new flavor to the Avengers’ big screen lineup. Still, sifting through all of Strange’s history can prove more daunting than battling Baron Mordo. Since his debut in 1963, the sorcerer has made over 3,500 appearances, most notably in Strange Tales, The Defenders, and his own solo titles. Strange’s ability to slip between dimensions and timelines notwithstanding, few characters are as adept at bringing out Marvel’s esoteric side. So for those who can’t get enough magic on the big screen, we’ve assembled a most strange starter guide. 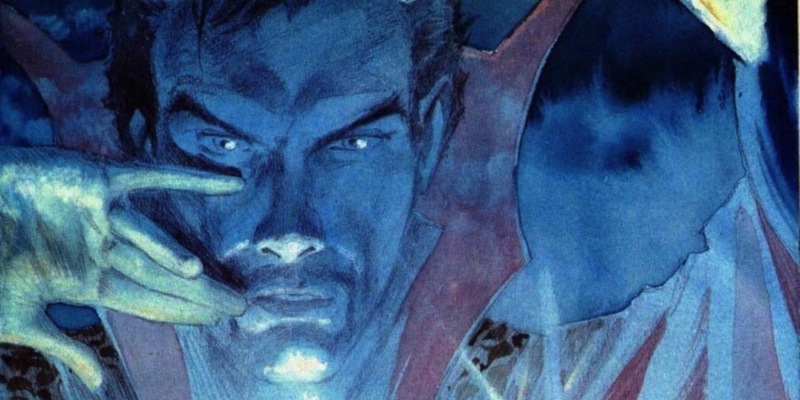 Here are Screen Rant’s 15 Doctor Strange Comics To Read Before The Movie. 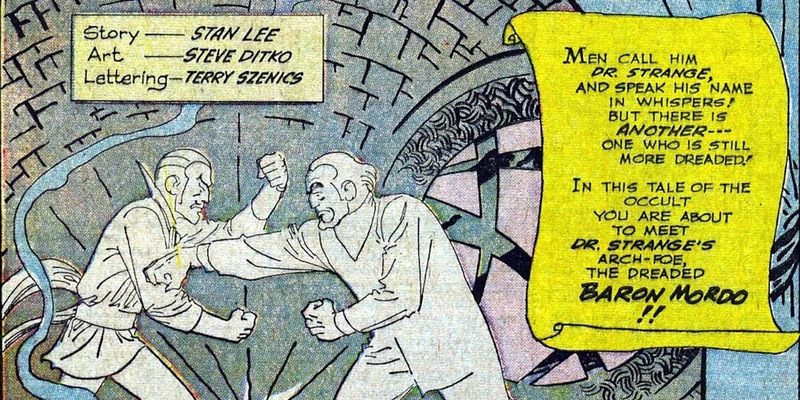 Strange Tales #115 (1963) begins with a coy note from Stan Lee explaining that he and Steve Ditko “forgot” to supply a Doctor Strange origin. And given the trio of appearances preceding this issue, it might be the first time Marvel ever published a retroactive backstory. The content itself is hallowed ground: skilled surgeon Stephen Strange loses the use of his hands in an accident, travels the world for a healant, and finds his way to The Ancient One. Initially turned away for his arrogance, Strange changes his ways after being hexed by Baron Mordo and rising to protect his newfound master. 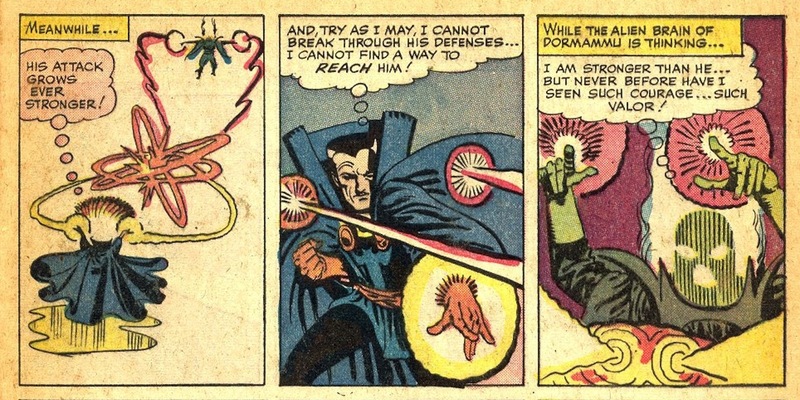 Steve Ditko’s style is in its infancy here, but the foundation remains classic for Doctor Strange and Marvel Comics alike. Also worth noting are the similarities to Ditko’s other famed creation --Spider-Man-- who debuted the year before. Both Peter Parker and Stephen Strange turn from selfish to selfless in the wake of tragedies, while sharing a New York residence to boot. As for issue #115, it is ground zero for Doctor Strange fans. Roger Stern took over as chief writer for Doctor Strange in 1979, and took the character to new emotional heights. While previous stories focused on Strange’s powers, Stern saw dramatic potential in the man himself, and scripted his yarns accordingly. This decision can best be seen in the early graphic novel Triumph and Torment (1989), which occurs outside of the Strange series. Teaming up with fellow physician Doctor Doom, Strange shows just how compassionate he can be when he agrees to help the villain free his mother from Hell. The journey that results is a dense study in morality. Both Strange and Doom are given origin story refreshers, while Stern sees fit to blur the line between what makes a villain and what makes a hero. The answer, illustrated by Hellboy's Mike Mignola, is not as clear as we would think. A prime source for die-hard fans and newcomers to Marvel’s dark side. Stern also pens this crossover arc, which began in Thor #333 and continued into Avengers #234. “The Montesi Formula” is an ancient spell intended to destroy all vampires, which is precisely what Strange, The Avengers, and Blade need to take down the biggest bloodsucker of them all: Dracula. 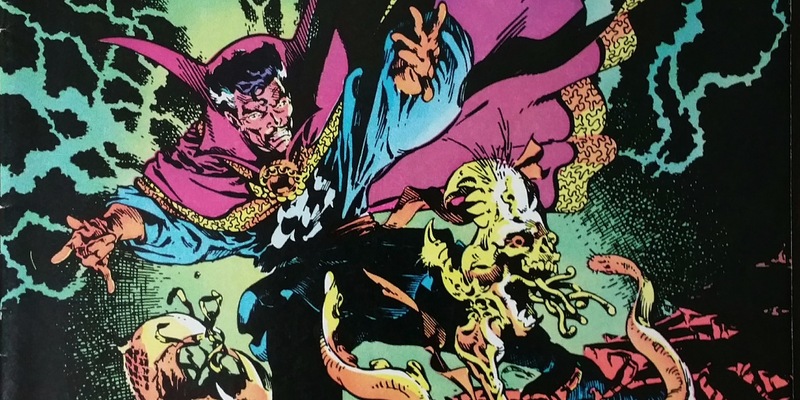 What follows in Doctor Strange #59-62 (1983) is an grand showcase of Marvel's offbeat side. Scarlet Witch and Hannibal King are thrown into the mix for good measures, but the meshing of superheroes with the company’s horror line is what makes this arc so exciting. 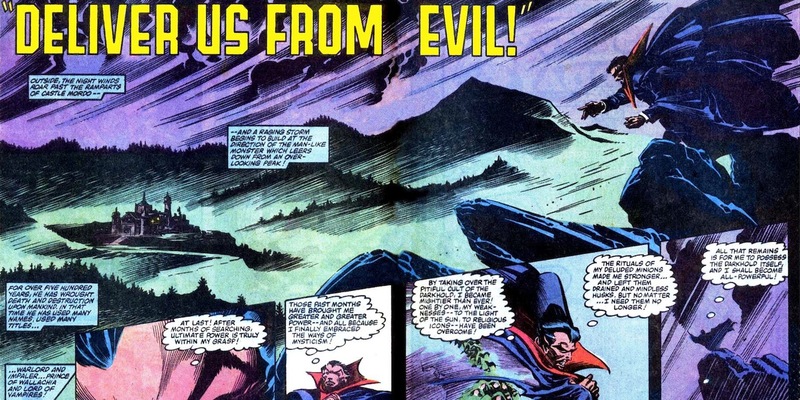 Artists Gene Colan and (later) Stephen Leialoha turn vampire camp into a clean design, while Stern’s ability to integrate multiple heroes keeps up momentum. Marvel would eventually go through a period where fantasy was sidelined for realism, but with the translation of Strange to the big screen (by a horror director no less), the notion of warding off ancient curses doesn’t seem as farfetched as it used to. Few writers were better at paneled melodrama than Chris Claremont. As the mastermind behind the great X-Men stories in the '80s, Claremont translated his pomp to profound effect in this 1982 issue of Marvel Fanfare. The romance with sorceress Clea is in full bloom, but the key point here is the presence of Nicodemus West, a colleague who performed the infamous surgery on Strange’s hands. Racked with guilt, Nicodemus trailed Strange across the world, where he would obtain magical powers meant for medical use. In this issue, however, the rival doctor has gone full villain, and Strange is caught in a nasty scuffle that includes a Dormammu sighting. While Claremont skips out on the character’s psychedelia, there’s something nice about a Strange story that’s closer to the exploits of other heroes. 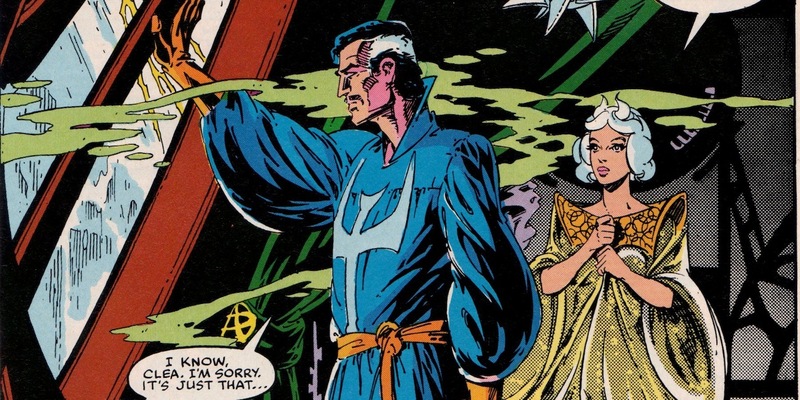 Artists Marshall Rogers and P. Craig Russell bring a lush visuals to the table-- especially when Doctor Strange dons a stylish bathrobe. Michael Stuhlbarg will portray Nicodemus in the film, though it remains to be seen what sort of arc the character will experience. Obviously, Dormammu and his “Dark Dimension” delivered on all fronts, while the introduction of Strange’s long running love interest Clea gave him a more relatable touch. The latter will not appear in the film adaptation, but that’s not to say she won’t pop up in sequels. Hot on the heels of Strange’s debut in Strange Tales #110 (1963), this early issue introduces the world to his most iconic adversary: Baron Mordo. Portrayed as a fellow student of The Ancient One, Mordo schemes to murder his master and gain ultimate power; but not before a battle with Strage thoroughly undermines those plans. While it may lack in the refinement of future issues, “Face to Face with the Magic of Baron Mordo!” is a vital piece of the Strange mythology -- from the magical amulet to the sibling-like rivalry between him and Mordo. Steve Ditko draws the hero and his surroundings in sharp, sophisticated strokes. 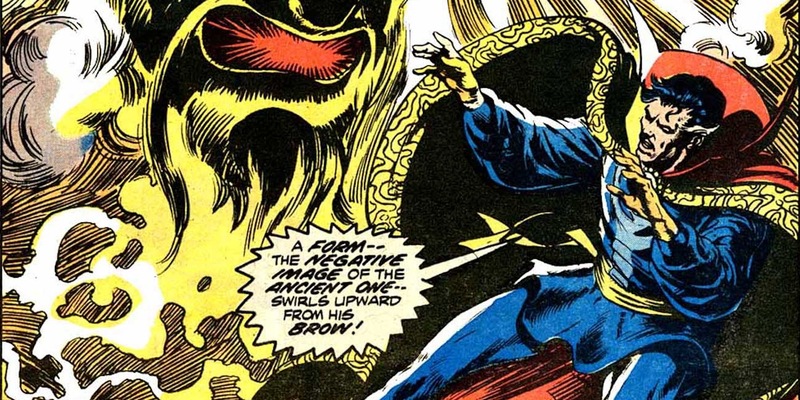 The design of the Sorcerer Supreme's eyes may open up debate as to whether the doctor was supposed to be of a different ethnicity altogether, but the spirit forms of both magicians are wonderfully imaginative. It’ll be interesting to see how closely the film adheres to the history of Mordo, who's played by Academy Award nominee Chiwetel Ejiofor. Dimension-hopping Doctor Strange has always been ideal for navel-gazing. In this issue, titled “To Have Loved And Lost” (1982), Strange actually “dies” and is witness to what the world would’ve been like without his existence. Here, in the revisionist world, he is a fictional creation by Less Tane and Ted Tevoski -- anagrams for Stan Lee and Steve Ditko (who pop up in playful cameos). These tidbits remain the only comedic relief in Roger Stern’s story, however, as Strange plunges into a personal low of sanity and self-worth. As you might infer from the title, the “Final Curtain” (1975-76) arc deals with the end of Earth's existence. Nightmare, the ruler of the Dream Dimension, captures fellow cosmic entity Eternity and has him challenge Doctor Strange. The magician is then faced with various incarnations of himself over the years: including surgeon, drunkard, blue superhero (more of that in the next entry), and a fictionalized scatterbrain wearing a Richard Nixon mask (?!). To make matters worse, a plan to destroy the planet succeeds -- forcing Strange to the Nightmare realm where he must not only defeat Eternity, but convince him to restore Earth as it once was. 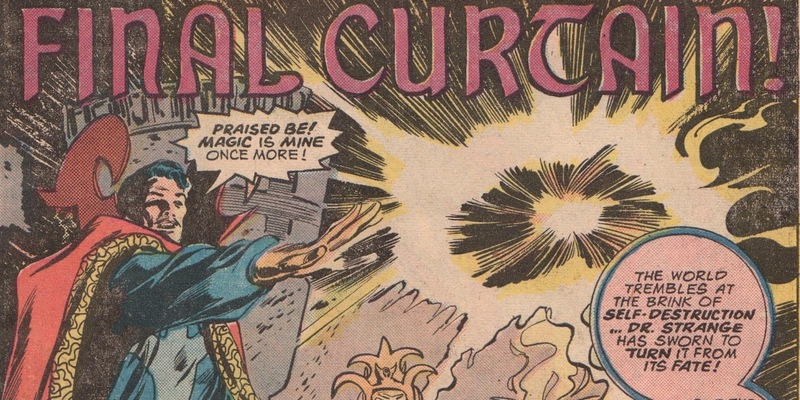 High on intellect and human evolution, it's exactly the type of narrative one would expect from writer Steve Englehart and artist Gene Colan in the 1970s. A big theme of this arc is that mankind is opening too many doorways to the unknown; a concern hammered home with allusions to the Tree of Knowledge and the “mind exploration” of LSD. This is the type of content that could only work in a Strange story. Released in February 1969, “The Cult And The Curse” channeled the public’s fear of satanic groups into comic book excellence. Writer Roy Thomas gets away with Production Code robbery by sneaking Satannish -- essentially Satan-- into a Marvel title for the first time, while banishing Strange to a hostile dimension. 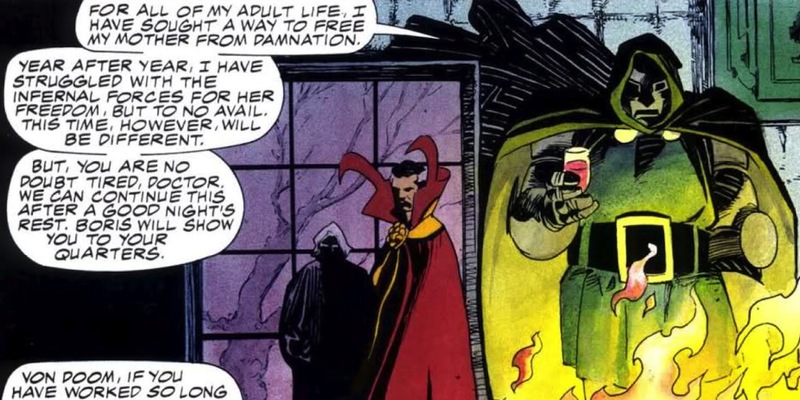 To make matters worse, Asmodeus, a Satannish worshipper, takes Doctor Strange’s likeness to ensure the real sorcerer cannot return in his true form. 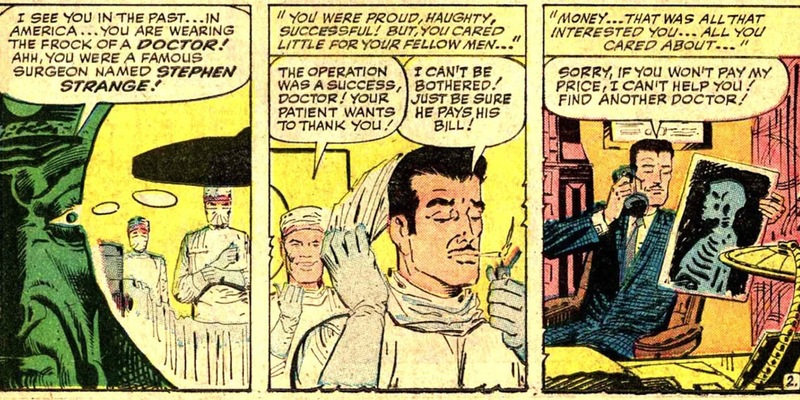 The resulting transformation of the good doctor, from his typical touch of grey to a bald, blue revision, was a change that was all but unheard of in the Silver Age. Of course, in the grand scheme of Doctor Strange, this unconventional move was to be expected. Thomas and artist Gene Colan evoke a darkened palate less hero and more horror-- a decision that would inform the character’s aesthetic in the 1970s. As for the occult, this would prove only one of many run-ins with the unrelenting Strange (who returned to his true form soon after). “The Shuma Gorath Saga” (1972-73) is an especially creepy arc, borrowing from horror authors Robert E. Howard and H.P. Lovecraft. The former inspired story concepts in issues #4-5, especially the Shuma-Gorath, an Elder God that first appeared in a short story. Doctor Strange is called upon to help a despondent woman, which eventually leads down a path of destructive minions ordered by Shuma-Gorath. Strange is notably more physical in these stories, suppressing his powers and choosing to combat creatures with weapons-- most memorably, a giant crucifix. Some felt this change was in direct response to the Howard/Lovecraft influence, but signature traits still shine through-- particularly when Shuma-Gorath forces Strange to destroy The Ancient One’s ego. 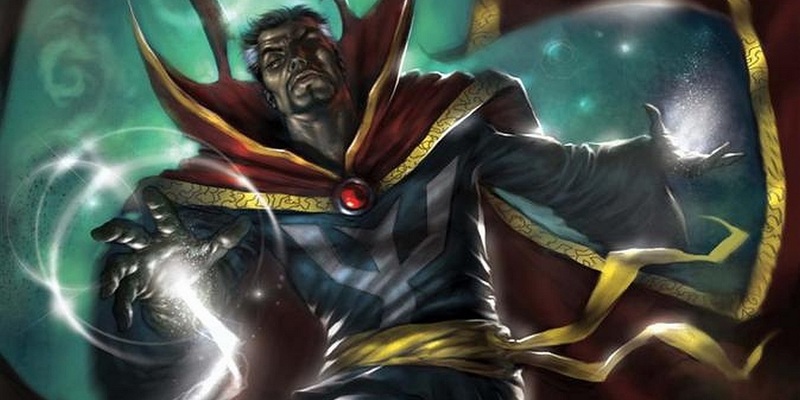 Doctor Strange subsequently becomes Sorcerer Supreme; a title he would continue to lose and regain over the years. The result of multiple writers (Roy Thomas, Gardner Fox) and artists (Frank Brunner, Don Perlin), this Marvel Premiere arc remains a dizzying experience. An oddity even for Doctor Strange, Into Shamballa (1986) chronicles his return to The Ancient One’s Himalayan home. Intending to honor his former master, the doctor finds a gift left in his name -- a portal into the Shamballa dimension. Strange is then told to bring about an apocalypse that will allow humankind to grow to perfection, and pursues the spirit of The Ancient One along the way. In terms of abstract storytelling, Into Shamballa makes a strong case for supremacy. Free of villains or superhero tropes, writers J.M. DeMatteis & Dan Green use Strange as the muse for an introspective, novelized approach. Shamballa also parallels another graphic novel of the time: Alan Moore & Dave Gibbons’ Watchmen (1986). Released the same month, both deal with a hero who must decide whether or not to commit mass murder for the greater good. Where Moore’s story ends in moral compromise, however, this poetic tale ends, fittingly, with spiritual enlightenment. The proof of this newfound interest was “The Silver Dagger” (1974) arc, which opened things up with the doctor's surprise stabbing. From there, Englehart and co-writer/artist Frank Brunner take a literal dive down a rabbit hole modeled after Alice in Wonderland, complete with giant rabbits, talking caterpillars, and a mock gathering of Marvel heroes like Spider-Man, Nick Fury, and Black Panther! Made in the period that Sean Howe’s Marvel: The Untold Story (2012) refers to as riddled with LSD, the arc received multiple fan letters with adoration and a few weed bags to boot. “Those weren’t printed,” Howe assured. Wildly blasphemous even now, this brain bender follows Doctor Strange as he chases the sorcerer Sise-Neg (Genesis spelled backwards) throughout time. From there, Sise-Gen travels back to the beginning of man, where he recreates the entire Marvel Universe and begins his own Garden of Eden. Sise-Neg becomes, without much subtlety, God Almighty. In terms of gutsiness, it's a story rivaling even the most avant-garde of comic book content. Englehart and Brunner still craft a clever character study, however, as Strange’s “God Complex” is pitted against a man who quite literally makes himself a God. Stan Lee requested a retraction to smooth over the controversy, but the duo instead wrote a fake letter from a preacher praising the story's inventiveness. The fake was published, and the controversy died down immediately. That being said, the magnitude of Englehart and Brunner’s work remains in rare company. 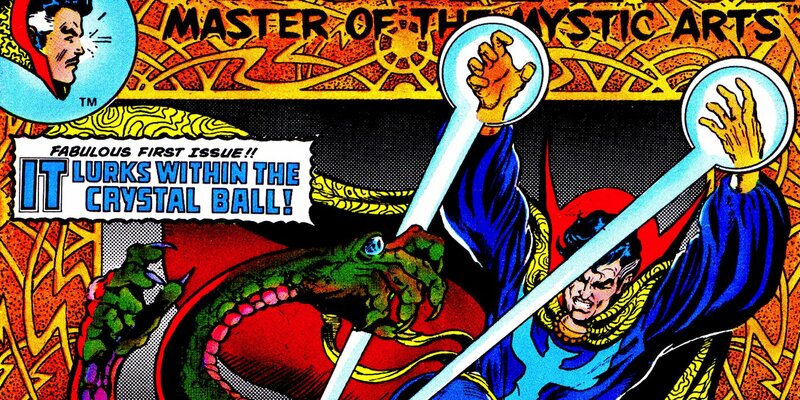 Arcs like “Time Doom!” (1973-74) are precisely why Doctor Strange remains a singular superhero presence. A seminal release since its 2006-07 run, The Oath is modern Strange at his finest. The five-part story is a mystery with a mythical touch, as Strange races to find a cure for his cancer-ridden sidekick, Wong. Aided by new love interest Night Nurse, the doctor follows a winding trail of clues complete with nonlinear plots, character nuance, and white knuckle twists. In other words, the most thrilling Doctor Strange comic of the 21st century. Writer Brian K. Vaughn does an exemplary job honoring the hero’s trademark arrogance, while the sense of brotherhood with Wong add layers only alluded to in the past. 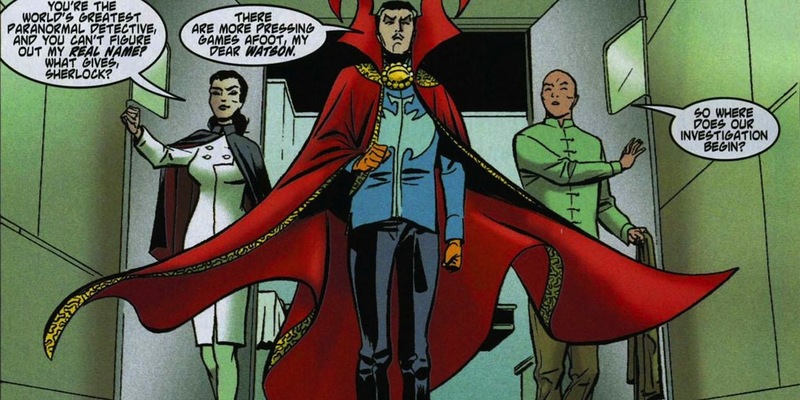 The Oath is also very influential on the Doctor Strange film; from the portrayal of Wong (Benedict Wong) as a vital player to the inclusion of Night Nurse, potentially (or eventually?) played by Rachel McAdams. Obviously, the cancer subplot gets subbed for origin story fodder, but fans would be seeing a very different movie had it not been for the efforts of Vaughn and artist Marcos Martin. If any Doctor Strange arc makes the case for required reading, it is “The Eternity Saga.” Creators Stan Lee and Steve Ditko were at their creative peak, churning out sharp prose, flooring visuals, and mythic themes untouched elsewhere in the art form. Strange’s Greenwich Village apartment was the portal to infinite possibilities, where each “Eternity” installment read like an art film with a limitless budget. 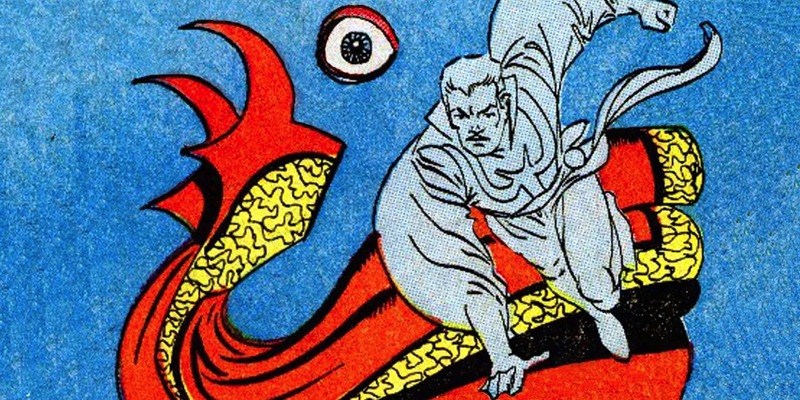 Having excelled with the Spider-Man series, it was obvious that Ditko saved his craziest stuff for Doctor Strange -- from the experimental eye candy to abstract baddies like Dormammu. “The Eternity Saga” is brilliant both for its length and its scope. Strange is forced to battle Baron Mordo and Dormammu before being stripped of his power, rendered blind, and forced to search for the elusive Eternity being. 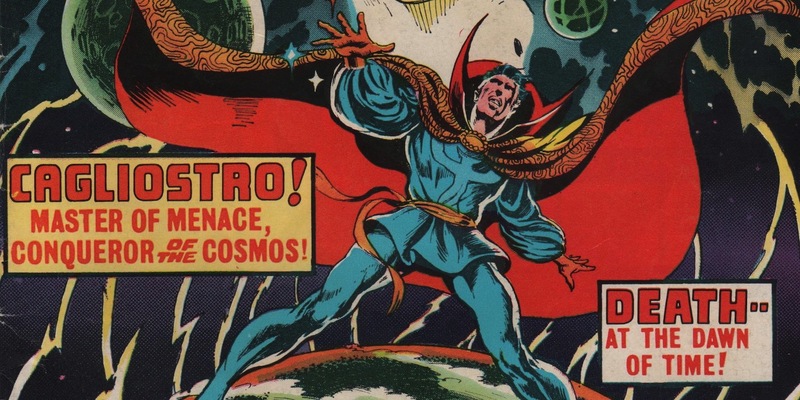 It is Lee and Ditko’s magnum opus of oddity, and a sprawling thesis of all that is exciting about Doctor Strange. We will no doubt see this on the big screen in some capacity, and believe us when we say that that is a very good thing. What's your favorite Doctor Strange comic ever? Are there any more fans should check out before they sit down for the movie? Let u sknow in the comments.